I’M CONVINCED that a crucial reason we have fared so badly in agriculture relative to our neighbors has been the way too many among us, including past and present policymakers, confuse and equate food security with rice self-sufficiency. To be sure, there are other culprits as well, like the massive leakages of huge sums from the farm budget into private pockets, overcentralized management of the sector, and others. Still, some of those other reasons appear to have been an offshoot of longstanding distortions resulting from our rice self-sufficiency policy. 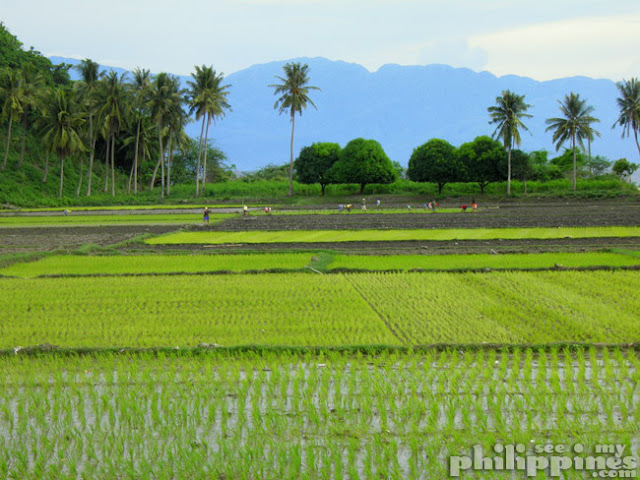 It’s often said that the success of a Philippine secretary of agriculture—and even of a Philippine president, to some extent—is measured on the basis of our rice production performance. Sadly, for as long as we actually believe that, the less likely it will be that we will achieve the success in agriculture that most of our neighbors have. Last week, I wrote of four ironies associated with the country’s traditional drive for rice self-sufficiency. One, our annual farm budgets have always been inordinately skewed toward rice, even as our avowed goal of self-sufficiency in the commodity consistently eludes us. Two, the government’s rice budget mostly benefits those who need the least help—that is, the more productive (hence better-off) rice farmers. Three, Malaysia, much richer than us but similarly naturally disadvantaged in rice production vis-à-vis the rice-surplus Mekong river delta countries of Thailand, Vietnam and others, had deliberately not targeted 100-percent rice self-sufficiency. This way, they freed substantial resources that allowed them to strengthen their farm sector overall, and can now raise their rice targets more rationally and realistically over time. Four, the more we pursued 100-percent rice self-sufficiency, the more we made most Filipinos less food-secure by making the commodity unnecessarily more costly, hence less accessible, to the lesser endowed among us. The last point is very important. It seems to me that many of those mouthing “food security” may be seeing it from an aggregate national perspective of food availability—but missing the critical aspect of accessibility, hence cost, of food at the level of families and communities. One could say outright that Thais, Vietnamese and people from the other Greater Mekong Subregion (GMS) countries are more food secure than Filipinos—not so much because their countries can produce much more rice, as because Filipinos must pay two to three times more for their rice than their Asean neighbors do. And the reason for this is that unlike the vast fertile plains of the Mekong Delta, many of our rice lands can attain comparable yields only through more intensive application of high-cost inputs, including irrigation, fertilizers and mechanization. And when our farm yields range from as high as 200 cavans (50-kilogram sacks) per hectare to as low as 10 cavans, production cost averages out nationally to be quite high—indeed up to two to three times that in our better-endowed neighbors. Note that some Filipino rice farmers, through no fault of their own, are inherently less productive or end up with more costly yields because of land and agro-climatic conditions less suited to rice—certainly not because they are less competent. The GMS countries are rice-surplus countries not because they have better farmers, but because of the vast, rich and fertile river deltas they possess, making them naturally more richly endowed with rice-conducive lands than Malaysia, Indonesia and the Philippines. As with Indonesia, our archipelagic nature deals us an even greater handicap. Worse, we have allowed domestic shipping costs to be high, owing to the lack of competition due to cabotage rules. Is it any wonder that there’s strong impetus to (illegally) ship in already cheaper rice from our neighbors, when even the cost of shipping it from abroad is also much lower? It will probably help all Filipinos if we help those farmers who can only squeeze 10-50 cavans per hectare out of their marginal rice lands to shift to crops more suited to their lands—crops that will earn them higher incomes and finally get them out of poverty. It makes no sense to keep them producing rice while staying poor as they do. Once our rice production is focused on our inherently more productive rice lands, then the overall average cost of production of rice in the country will fall, and we can begin to approximate the costs of imported rice. Then we would also help our Filipino poor, as their purchasing power would grow as rice prices go down. Asean as a region is not only self-sufficient in rice; it produces a surplus and can continue doing so for a time. 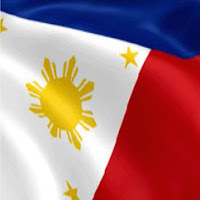 The Philippines need not aspire to grow all the rice it needs, in the same way that Benguet would be foolhardy to try to grow all the rice it needs, and produce as much rice as, say, Nueva Ecija. In Asean, food security would be best pursued at the regional level, through a stronger regional buffer stock mechanism where the rice-surplus countries can fill the deficits of the rest. That way, rice could be cheaper for all, and Asean peoples, particularly in the rice-deficit countries, would generally be much more food-secure. This, among other things, is what the Asean Economic Community should be about. Meanwhile, we in the Philippines can take better care of the rest of our agriculture, and address not only the calorie side of food security, but also meet our people’s need for protein- and other nutrient-rich foods as well. We could then do a much better job at pursuing true food security for all.